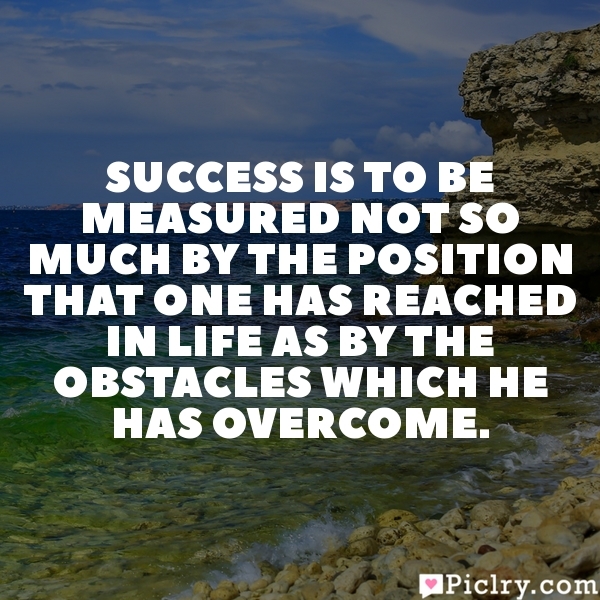 Meaning of Success is to be measured not so much by the position that one has reached in life as by the obstacles which he has overcome. Meaning of Success is to be measured not so much by the position that one has reached in life as by the obstacles which he has overcome. Quote by Booker T. Washington. The difference between a life laced through with frustration and one sustained by happiness depends on whether it is motivated by self-hatred or by real love for oneself. True happiness comes when you give your best in something beyond yourself.